i’ve have a CBS-era Fender Bantam Bass in for repair that looks like a bowl of spaghetti inside the chassis. it’s a slew of yellow wire spread from one side to the other that resembles the web of a drunken spider. 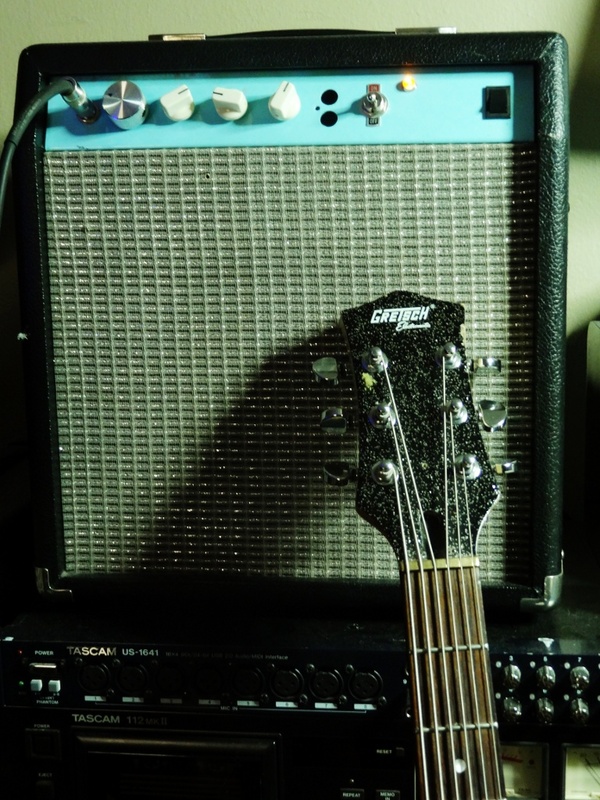 the amp has been modified to include a tremolo, reverb, and an effects loop that replaces the bass channel in the amp. 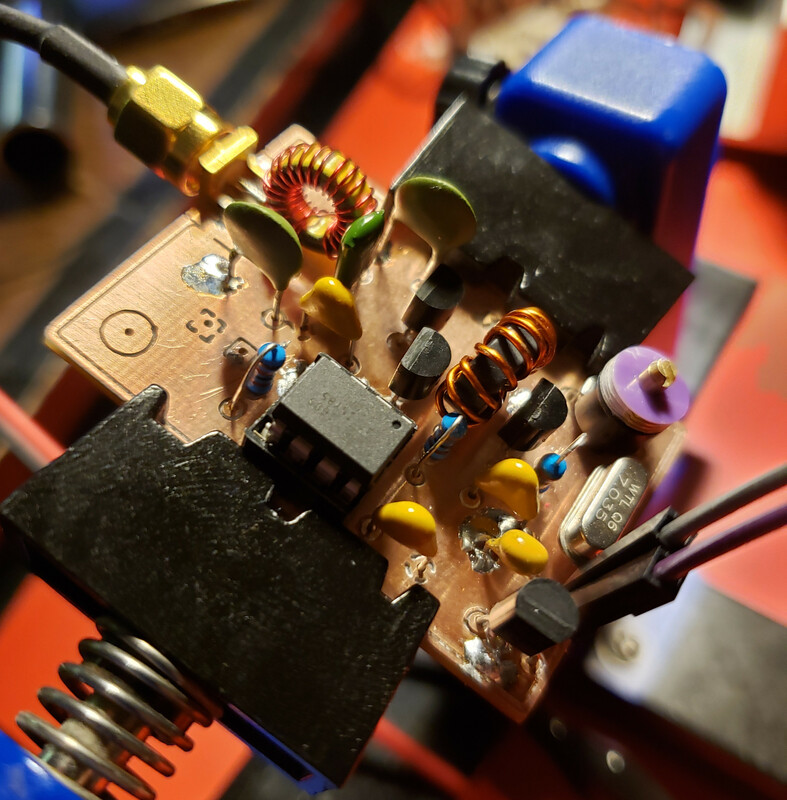 the tremolo circuit was originally a Weber kit, but someone ripped a couple of the pads off the PCB while trying to modify the mod. 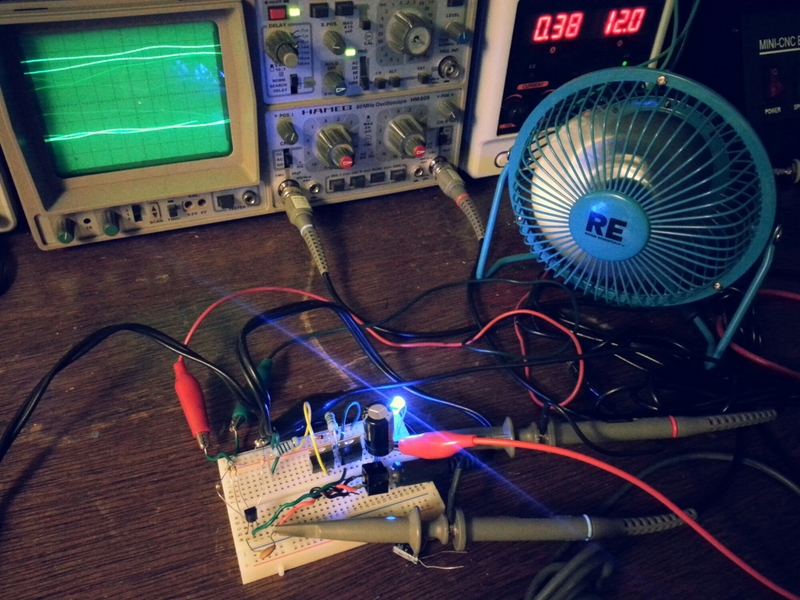 i just redesigned a tremolo circuit based upon a simple dual opamp LFO using the Weber’s rectifier as a guide to get voltage from the heater filament supply. 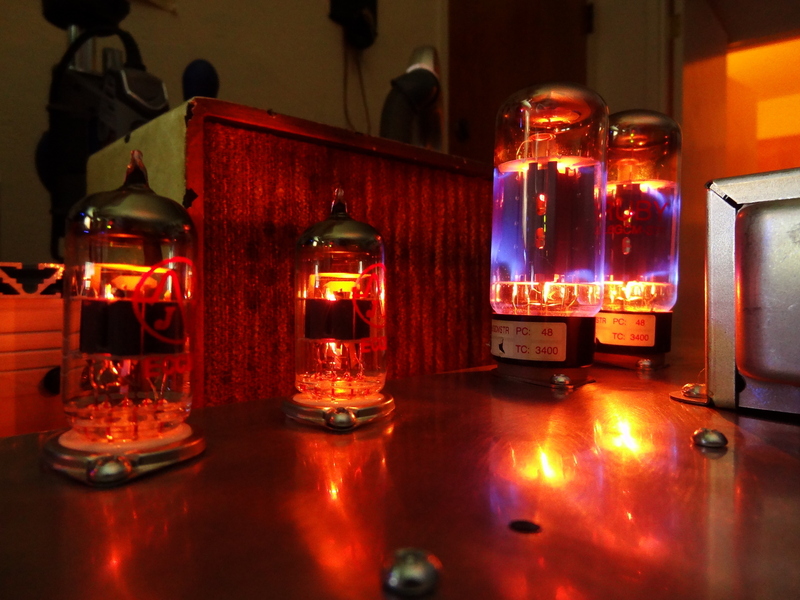 i attached the output to an “Intensity” pot and wired it into the cathode of the second half of the initial 12AX7. 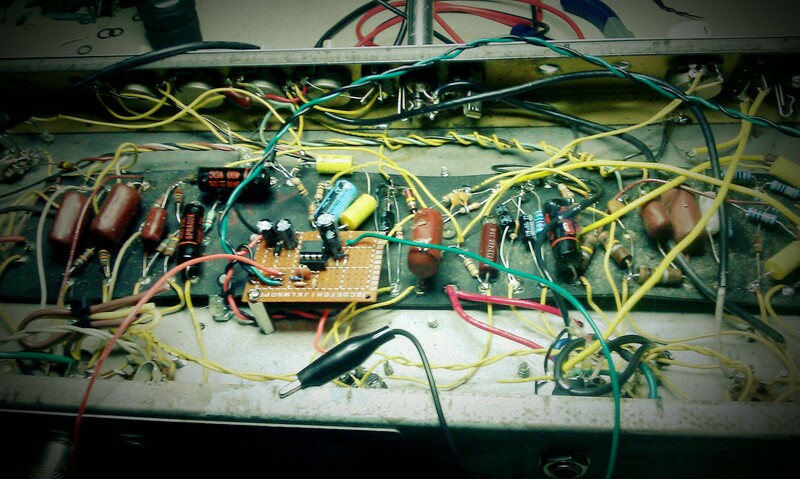 this is the layout as i was laying my new designed tremolo into the existing circuit. this is the part of the original Weber tremolo where the last tech (careful with that soldering iron, Eugene!) attempted to modulate of the negative grid bias. 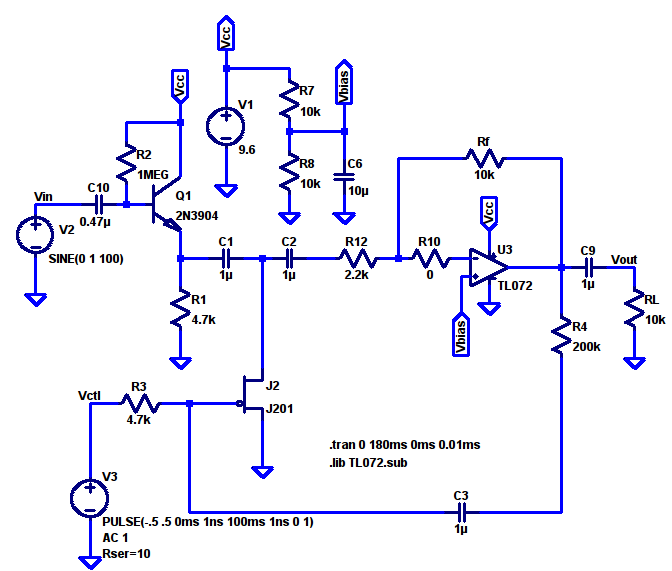 though a sound idea, the circuit itself wound up acting more like a compression effect by changing altering the bias when signal was present. also, a solid-state tremolo like this won’t have much of an overall effect on negative grid biasing due mostly to it’s weak output. 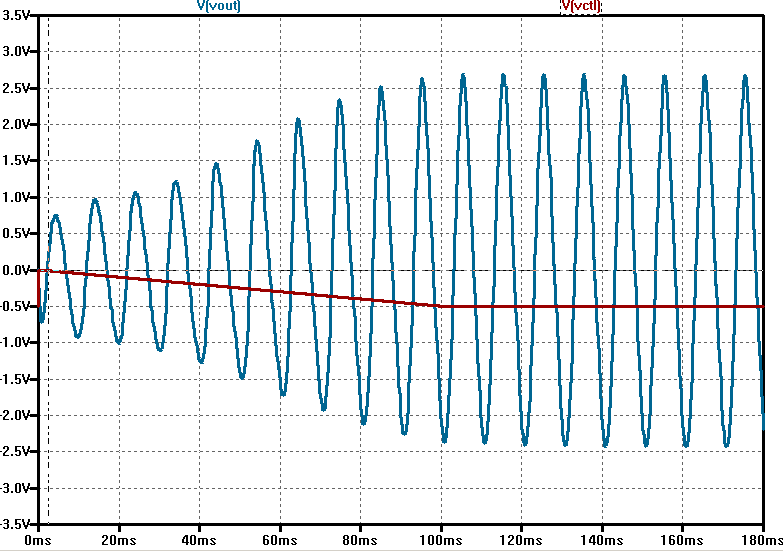 rails on the LFO is roughly +5.5V resulting in a good 2.25Vpk (1.5Vrms) signal which is hardly enough to be noticeable. i also tend to avoid using trem circuits that re-bias the output stage simply because it does seem to put undue stress on the tubes and surrounding components. 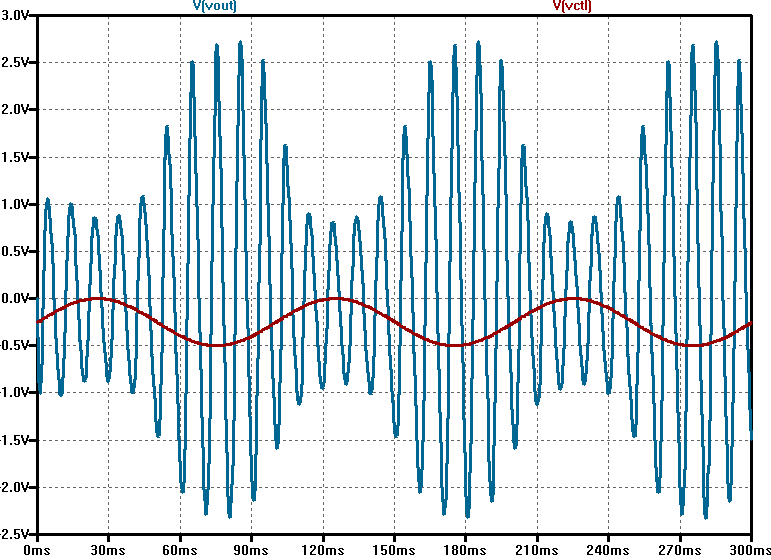 it seems more efficient and makes more sense to me to modulate signals while they’re still small. cleaner and a little more manageable. and with a fine custom-made panel, the old Bantam looks and sounds more like a ’65 Super Reverb than ever before. 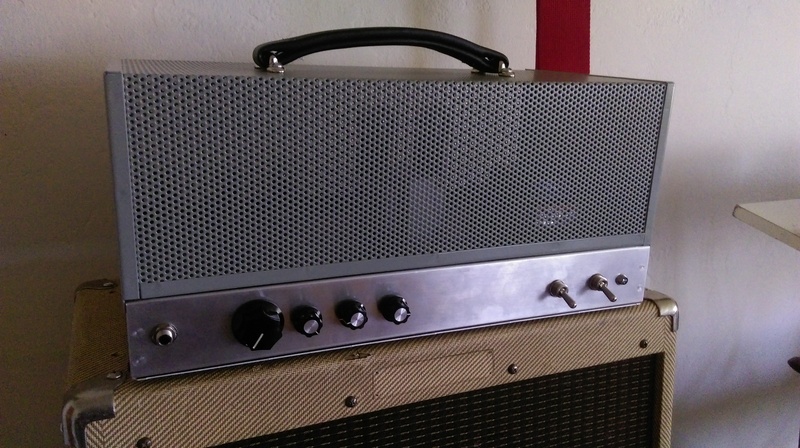 granted, not all steps were taken to black-face the amp, but a few value substitutions were made to achieve more of a black-face tone. 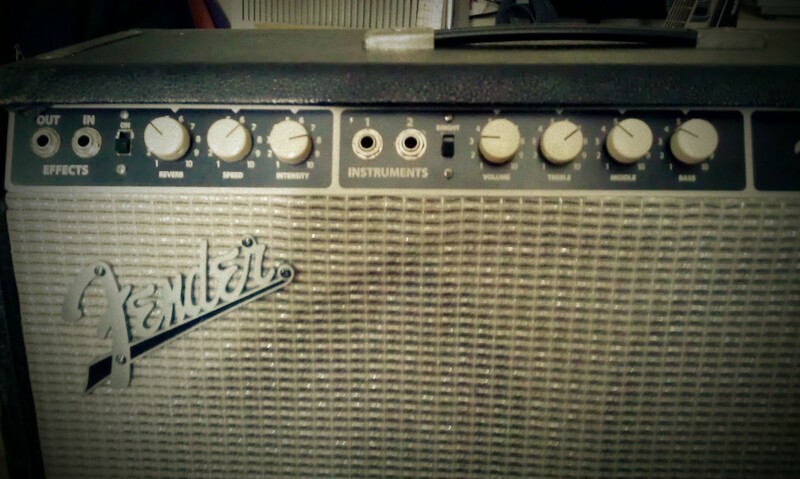 this is a re-appropriation of a Fender Frontman 15-B. it’s one 8″ speaker in a closed cabinet primarily designed as a really cheap bass amp to be included in starter packs. having gutted the amp a few years ago and replaced it with the contents from the No. 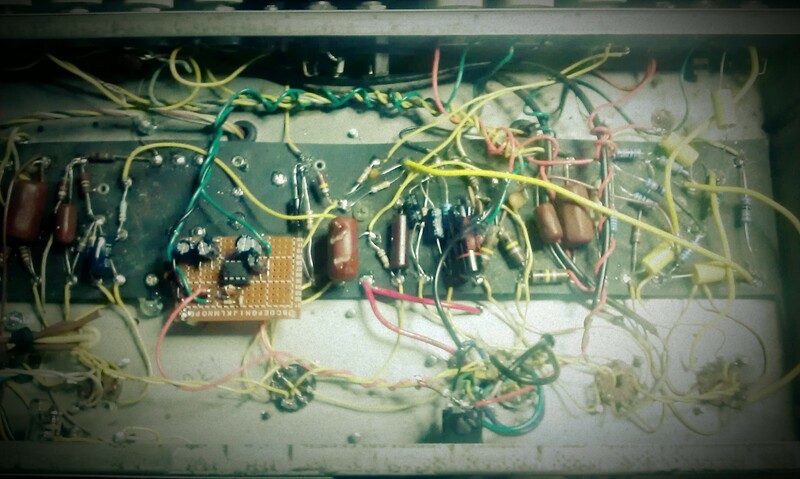 5 tube amp project, i got some time to rework the circuit into something more usable. the additions include a tone stack, second gain stage, and a stand-by switch. the power amp is now wired as a pentode instead of a triode, and i didn’t feel it necessary to have a switch between the two modes. it still needs a little work to keep it from self-oscillating at high volumes. thanks to those guys who run AX84.com for their P1 project. it definitely helped the way i thought about redesigning the amp. 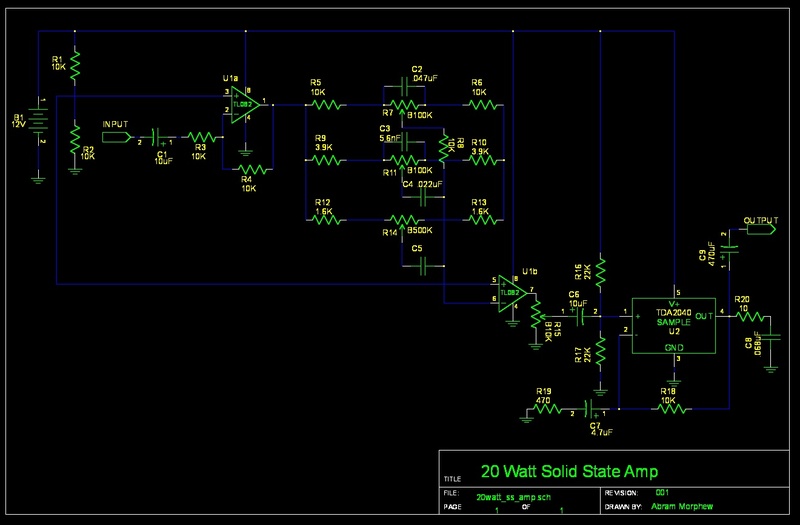 well here’s the first draft of the simplest medium powered solid state design i could muster. TL082 can easily be substituted with a TL072 which is probably better anyhow (i just have all these TL082s laying around). the power supply i’m using more like 14-15V. 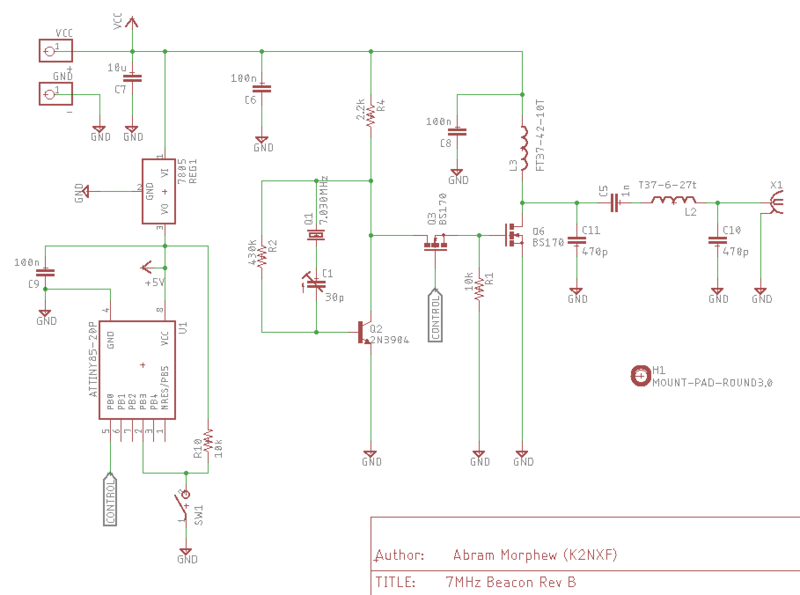 both ICs should easily be able to handle up to 20V and that would allow for louder operation, but i think 15V is safe. all the resistors are 1/8W minus R20 which is 1/4W. 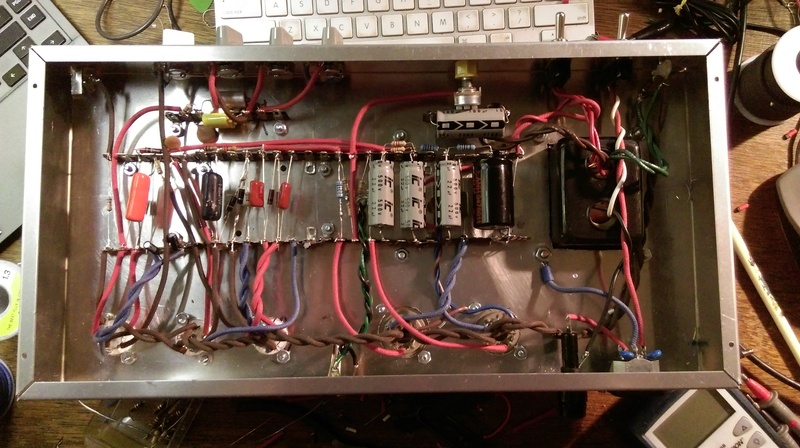 prototype of a 20-watt TDA2040 based amplifier that i’ve been working on. 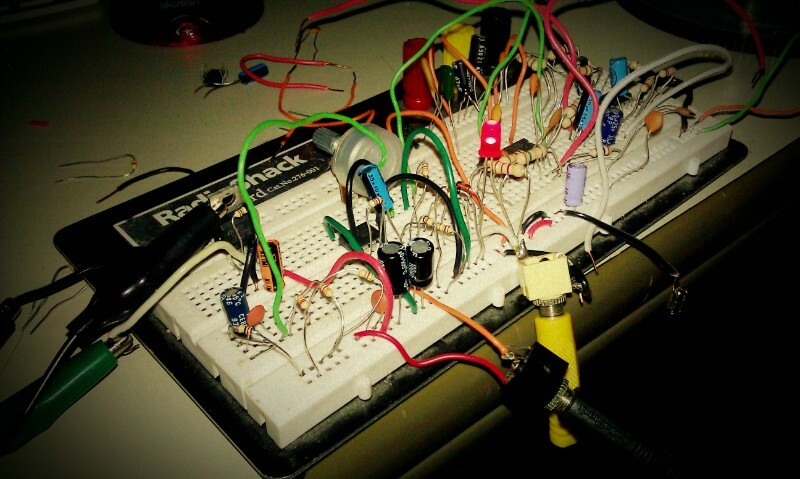 running a 12-volt power supply and it’s surprisingly loud. an older video, but one i’ve been wanting to post for some time. 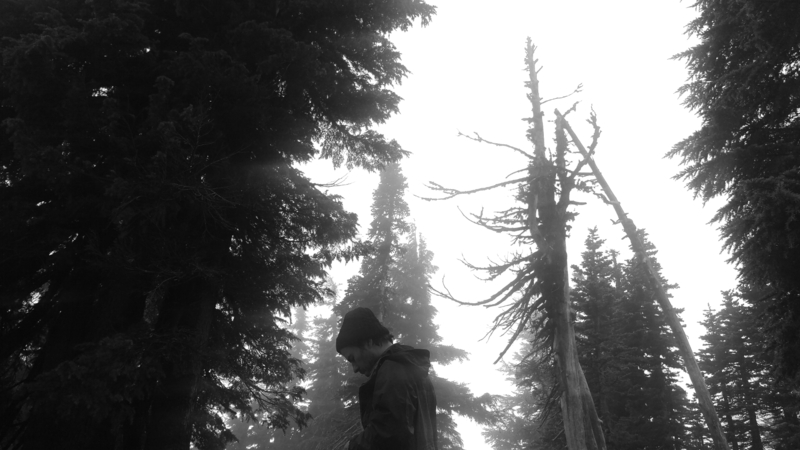 this is Alex Wilson of Son Cats playing on one of the several cigar-box amps i’ve constructed. this one, in particular, had one of the best sounds during the more work-with-what-is-available days. i thought the video was a great demo of an application best suited for a small 1/2 watt amp. thanks, Alex. the need for small and portable amplifiers has arisen mainly by a desire to come up with some sort of all-purpose busking amplifier. 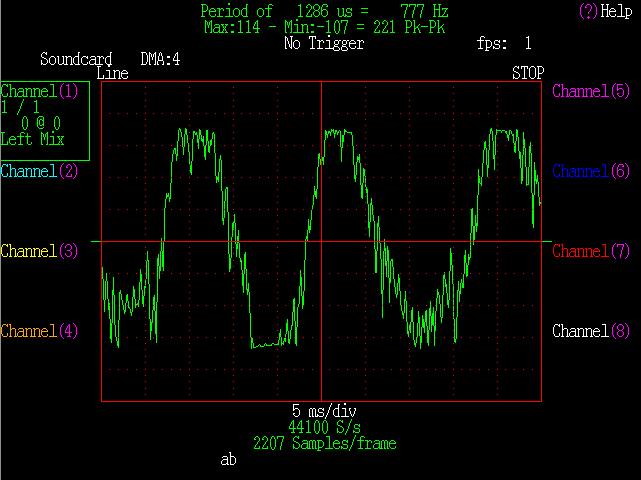 here is the first screen shot of the output from the preamp section. 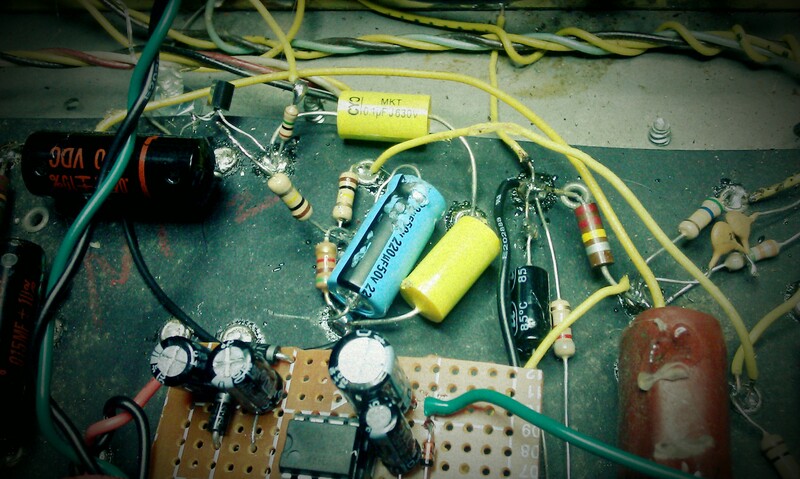 the entire amplifier is powering an Eminence Beta-12LTA off of a mere 6V. don’t ask me how. it took a while to find the right combination of resistors for the TL082 to run stable at such a low voltage. 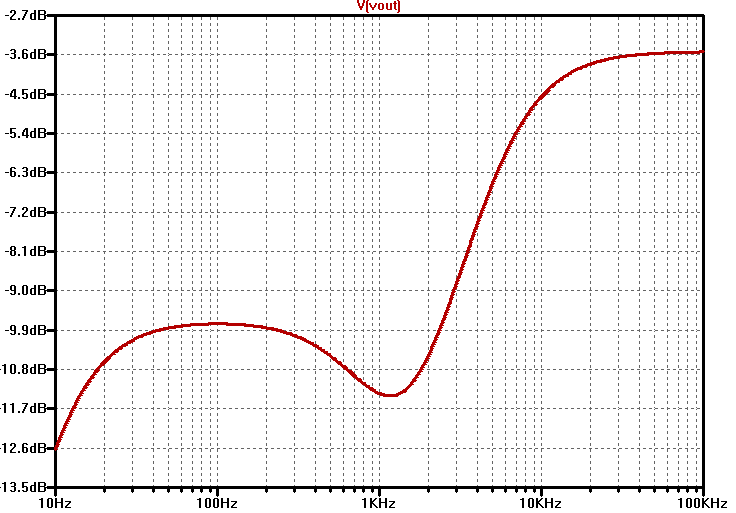 it’s also surprisingly loud being that it’s about 26V away from the recommended supply (±16V). 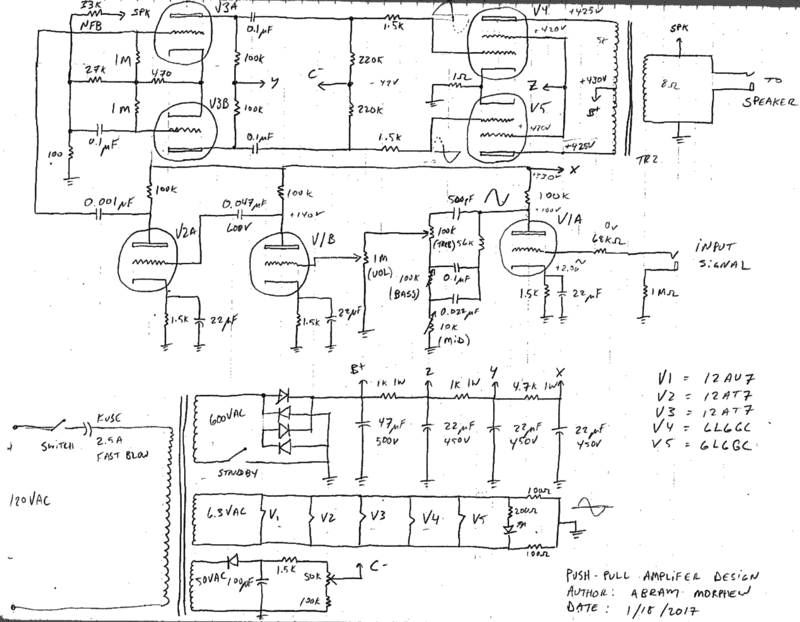 i’ll probably be posting a schematic soon.